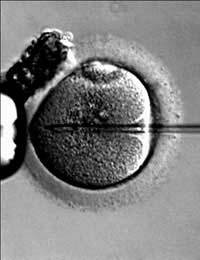 Home > Preparing for Treatment > How Successful are Fertility Treatments? As technology has advanced over the years the overall success of fertility treatments has increased. But when you’re sussing out the success rates of individual treatments and clinics which offer them, there are still a number of complex factors involved to think about. Intrauterine insemination (IUI) – 10 - 15% per cycle. In vitro fertilisation (IVF) – 25% per cycle. Gamete intrafallopian transfer (GIFT) – 25% per cycle. Intracytoplasmic sperm injection (ICSI) – 25% per cycle. It’s useful to know these rates of success per treatment, but when you look around for a clinic in your area, you’ll come across statistics relating to the success rate of each individual clinic. These are produced by the Human Fertilisation and Embryology Association (HFEA), the governing body in the UK, and are produced for every licensed clinic. The figures show the number of treatments conducted by each clinic each year and the number of babies born as a result. But as is the case with a lot of statistics, you need to consider a number of factors before taking them at face value. First and foremost, as more and more couples are experiencing fertility problems, clinics are often dealing with people who have complex fertility issues. Treatment for them isn’t always straightforward, which means that this may well be reflected in the performance figures for individual clinics. Clinics with lower than average success rates may well be treating couples with more complicated situations, which will inevitably impact on their success rate figures. It’s also important to bear in mind that a woman’s fertility declines with age and will affect the treatment outcome, so it’s best to find out the success rate for different age groups, rather than overall. Clinics with higher success rates may, for example, be treating more younger women, for whom fertility treatments are more likely to be successful. Another factor to consider is that the rate of success depends on the type of treatment involved, whether it uses fresh or frozen embryos, whether there are donated eggs and the number of treatments carried out. If a woman has had twins, triplets or other multiple births this may give the illusion of inflating the success rate figures (two or three births, as opposed to one), yet multiple births are of course very risky for both mum and babies. All of this may sound confusing, but the key thing to remember is that everyone is different. Infertility is sadly not always easy to deal with, there’s no guarantee of 100% success every time and treatment cycles will always carry a risk of failure. Despite the problems, overall success rates for assisted reproduction rates have shown signs of increasing over the years, so keep this in mind, remain positive and, if it’s the route you need to take, go ahead with an open mind and a willingness to give it a try.